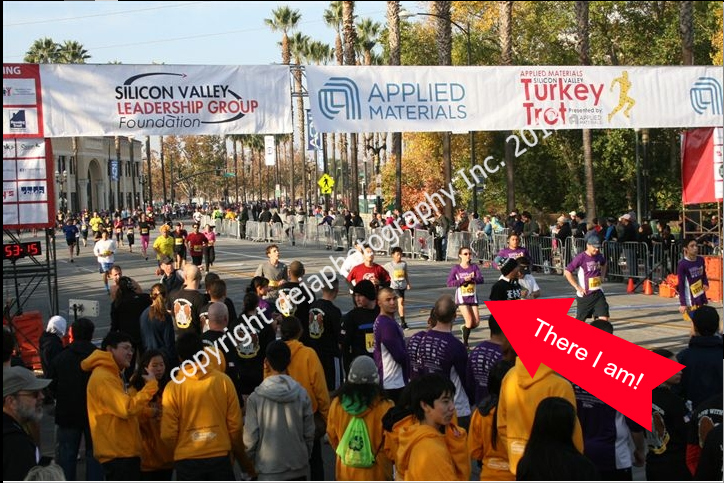 Well, folks, the inevitable has finally occurred: I have appeared in my very first “bad” race photo. I knew it was coming. Everything had lined up perfectly for me to score some incredible shots at the Silicon Valley Turkey Trot—I felt great, the weather was terrific, all of my smiles were genuine. But I never once caught the eye of a photographer on the course, and I didn’t even see this one at the finish. C’est la vie! I guess I’ll just have to smile more during the next race to make up for it! Check out my other tips for getting caught in great actions shots here.